My review of Henry Kissinger’s On China for China Today. This was written in Chinese and later translated into English. HENRY Kissinger’s latest book, On China, an ambitious combination of his memoirs as a professional diplomat and his understanding of Chinese politics, culture and history, attempts to fit Chinese leaders’ strategic intentions and diplomatic approaches into a historical and cultural framework. Opening with a look into the deep past, the book discusses the important influence of Confucianism on Chinese politics, then sweeps through the rise and decline of dynasties, the foundation of the People’s Republic of China, moving on to the Korean War, Taiwan Strait crisis, the China-Indian border war, and the geopolitical challenges China faced after China-Soviet relations deteriorated. It is here, in the ninth chapter, that Henry Kissinger appears on the scene. President Nixon’s groundbreaking visit to China in February 1972 changed the tone of the Cold War and surprised both ideological camps. Kissinger, then national security advisor, made advance trips to negotiate the rapprochement. He was the first high-level U.S. official to visit the People’s Republic of China (PRC) and talk with Premier Zhou Enlai face to face, ending over two decades of diplomatic and economic isolation. The story is well known to the world, but Kissinger’s version has the stamp of authority. He recalls the many events leading up to Nixon’s visit, putting the resumption of China- U.S. diplomatic relations into a clear context. Many regard the visit of the American table tennis team to China in April 1971 as a breakthrough, without which bilateral relations couldn’t have been restored. According to Kissinger’s book however, Chinese and American leaders had established channels for high-level dialogues through third party countries years ago and had already shaped their respective understanding of the strategic cooperation. The “Ping-pong diplomacy” incident was just a catalyst. As a diplomatic veteran, Kissinger is one of the few high-ranking American officials who have dealt with all four generations of PRC leaders. He shares with us his observations and cultural and historical analysis of the different styles of Mao Zedong, Zhou Enlai, Deng Xiaoping and Jiang Zemin. Kissinger believes that the diplomatic actions Chinese leaders took were mostly rooted in Confucianism and the ancient military treatise, Sun Tze’s Art of War. He also believes concepts from the board game Go, also known as Chinese chess, can be used to explain the starting point of China’s foreign strategy and even includes an illustration of chess games in the book. 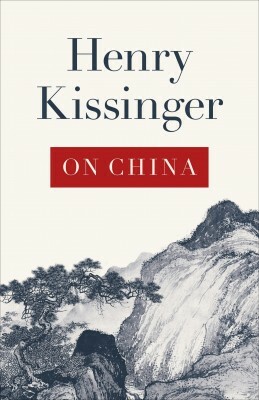 His narration is sketchy in some places and appears over-interpretated in others, but Kissinger gives a sharp reading of China’s diplomatic history and psychology. Calling itself the “Middle Kingdom,” China used to regard itself the center of civilization. Outside “barbarians,” such as the Mongols and Manchus, would bow at the feet of Chinese civilization and become sinified, even if they had conquered the Middle Kingdom. Because of this, China lacked the desire for external expansion, and adopted a superior attitude when dealing with foreign countries, regarding foreign diplomats as pilgrims. However, in the 19th century, China, under the reign of the Qing Dynasty, found that the West had superior science and technology, and, further more, they did not revere Chinese culture. For the Chinese emperor and his ministers, the confrontation with modern countries was confusing. Diplomacy was an entirely new concept. Chinese diplomats emerged at the forefront of this situation. They, Li Hongzhang in particular, won some time for China with their analytical ability and diplomatic skills. Unfortunately, the Chinese court didn’t seize the opportunity to enhance national strength through trade, as many in the ruling class were not aware of the changes occurring in the world or China’s new status on the global map. China’s foreign policy often went from one extreme to another, swinging from a proud and stubborn attitude to that of complete surrender. Time was wasted and resources sapped. But the PRC, in an equally bad international situation, took a firm stand during the Korean War and subsequently created some maneuvering room for itself. Its leaders were also able to put aside ideological differences and decide to restore diplomatic relations with the U.S., showing a pragmatism appreciated by Kissinger. As to the future prospects of China-U.S. relations, Kissinger reviewed the Crowe Memorandum, a secret document written by British diplomat Eyre Crowe in 1907 predicting a military clash between Britain and the rising Germany was inevitable. If “war with China” was seen as inevitable, Kissinger warned, all disputes between China and the U.S. would be seen as harbingers of war, and in the long run China would indeed become a real enemy of the U.S. American policymakers must do whatever they can to avoid this to happen. Readers of this book get the sense that the same warning should be given to China. The two nations must find a way to “co-evolve” – they should cooperate as much as possible in achieving their respective internal missions, and constantly adjust bilateral relations to reduce the risk of a conflict. Henry Kissinger has been an active practitioner of this philosophy from the start.